Let's do a quick word association test: Japanese giant robot shows. 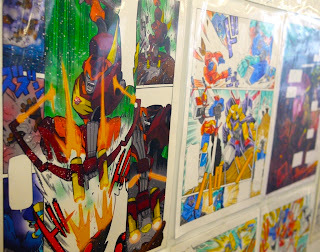 The usual subjects come to mind—Evangelion, Gundam, Mazinger Z and all his god-like brethren. 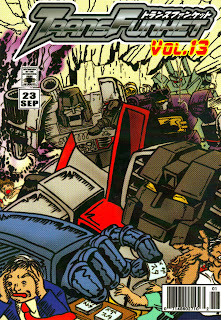 Transformers would only register as an afterthought, it at all. It's easy to forget that Transformers, though produced by Hasbro, was animated chiefly by Japan's legendary Toei Studio (as a follow up to Voltron, ironically). 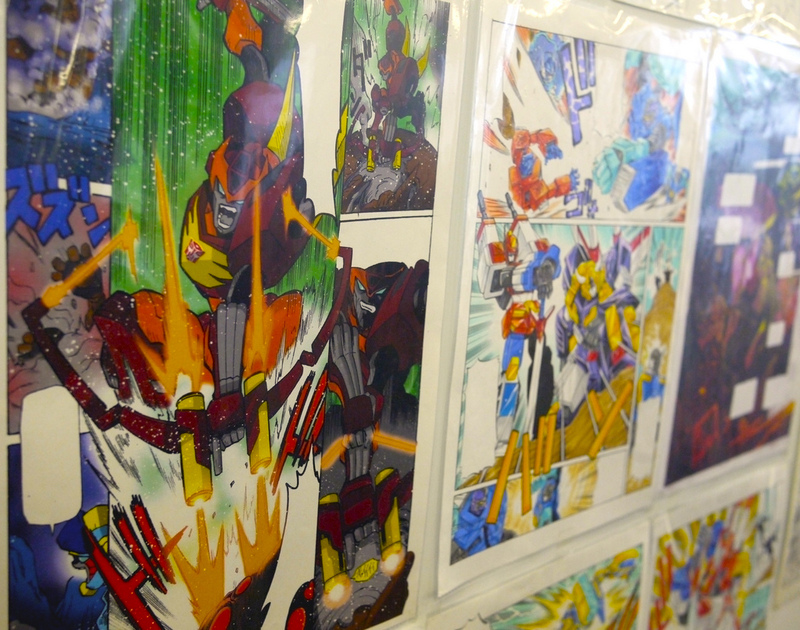 Japan continued the saga even after the toy line died down in the states with The Headmasters and successive series throughout the mid-90's, many of which still have American fans clamoring for a release. Even the 100% western-produced CG Beast Wars would receive a mad-cap localization and anime sequels overseas that brought a new generation into the fold. 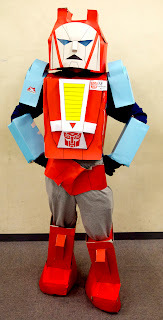 Transfunket is another such effort to take Tranformers back to its country of origin in a way that only the Japanese can—through dojinshi and cosplay. 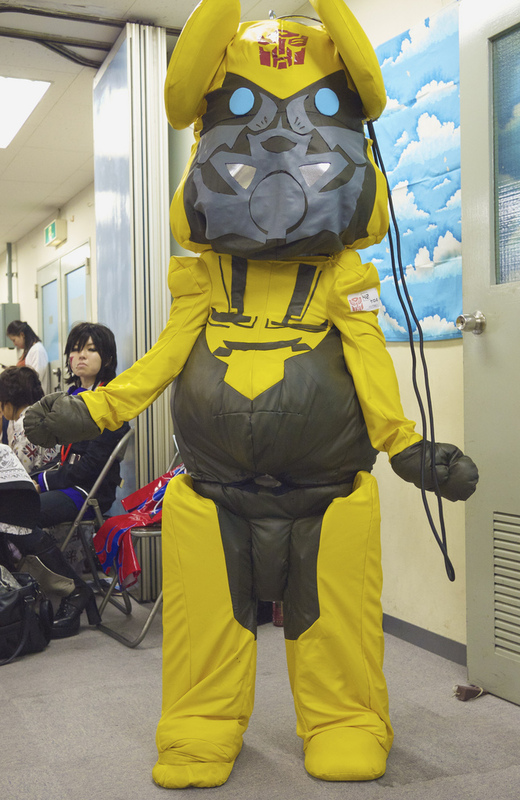 Held last Sunday at a rusted-out civic center in Asakusabashi, the event crammed over 100 dealers into an area the size of a church basement for an afternoon of human-on-bot excitement. 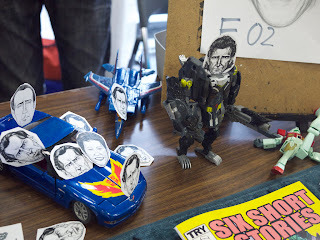 Proceed with caution—the content is not what you'd expect of your typical BotCon. The rare toys and comics were sorely outnumbered by the Etsy-level crafts and slash fiction. If you've ever wanted a Decepticon daruma, or fantasized about Megatron and Starscream grinding gears, then you've come to the right place. I didn't get an advance ticket so by the time I was let inside all the "good" dojinshi was sold-out. Knockout pairings were apparently in high demand. The only way to improve Shockwave's design would be to add breasts and thigh-high boots. Bravo! 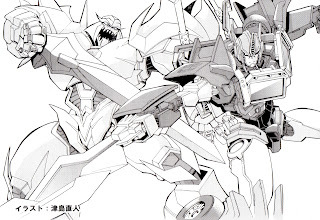 Crafting anthropomorphic fashion is the most important skill a Transformers fujoshi can possess, next to visualizing slash fiction for heavy machinery. 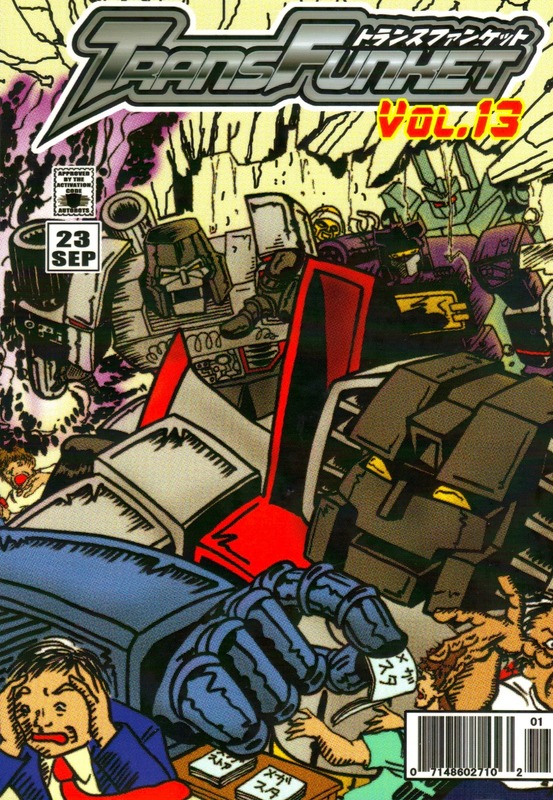 Dig the giant collar for Megatron's shoulder pads. Michael Bay and Be@rbrick, double branding of two of my least favorite things. The Transformer equivalent of a doller. 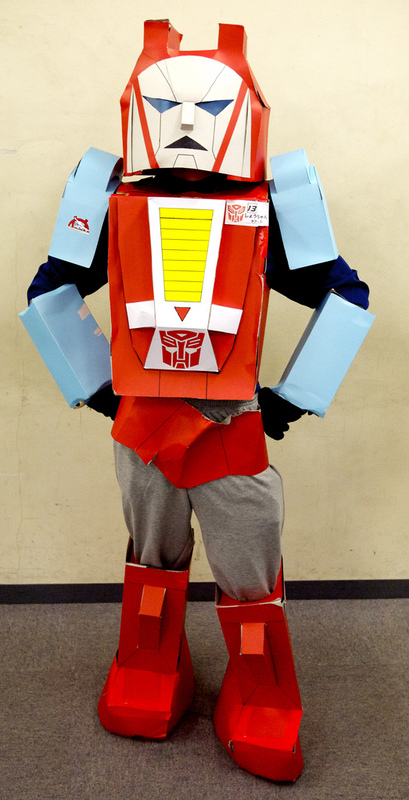 Taking the expression "Bayformers" literally. 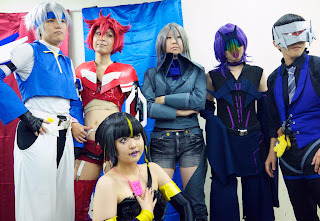 Proof that the fandom hasn't been completely taken over by cross-dressing robots. Nakashima Naoki is the one artist I would actually buy something from, so naturally he didn't have a booth. My apologizes to red-blooded western Transfans—you won't share a common bond with a majority of your Japanese compatriots. 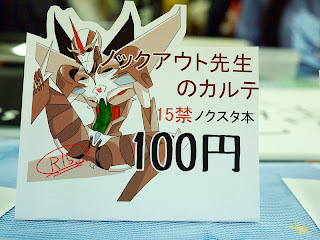 According to the organizer, the event used to be driven by man-children in awe of giant robots, but recently fujoshi have started calling the shots. The changeover was inevitable. Transformers is a sausage fest (assuming that the 'bots have interlocking moving parts) and any show with a mostly all-male cast is ripe for fujoshi-sploitation. If anything, the franchise was behind the pop-culture curve before picking up its female fans. All it needs now are MikuMikuDance videos to fully divorce it from the source material and make it another burnt-out meme. Sorry, looks like I spoke too soon. Autobots inferior, Vocaloids superior. The Japanese remain the world's truest masters of fetishising by virtue of their continued innovative and pioneering efforts. Thanks for looking out. The links to Flickr worked, but for whatever reason the samples wouldn't display on the blog? Fixed by uploading them manually.